For many of us who endure Daylight Saving Time, this is the day when we change our clocks and "fall back" an hour. This gives us a chance to briefly enjoy the benefits of a 25 hour day. Assuming we survive the change. It is sobering to realize that it has been 10 years since I first put forward my modest proposal, and still the world has not seen the wisdom of it. 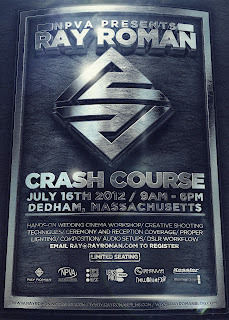 Ray Roman makes his training workshops look like ultimate-fighting championship events with tough posters. Just one of the reasons we think he's awesome. Here's a fun video from the folks at the 90to5 Editing Challenge. Have you signed up yet? 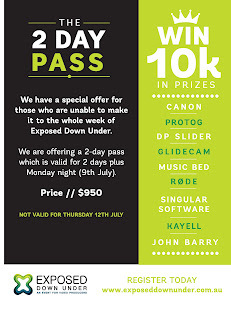 We’re told there is only one conference for video producers in Australia, and it’s EXPOSED | DOWN UNDER. If their mission is to serve a whole country of creative media makers, they’re pulling out all the stops. 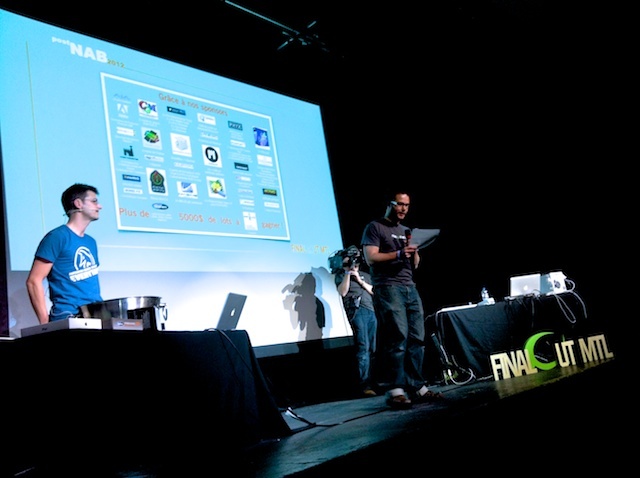 You can find podcasts from this year’s presenters, and greetings with trade tricks from last year’s event on their website, blog, facebook group, and Vimeo group. If that's not enough, check out the prizes! 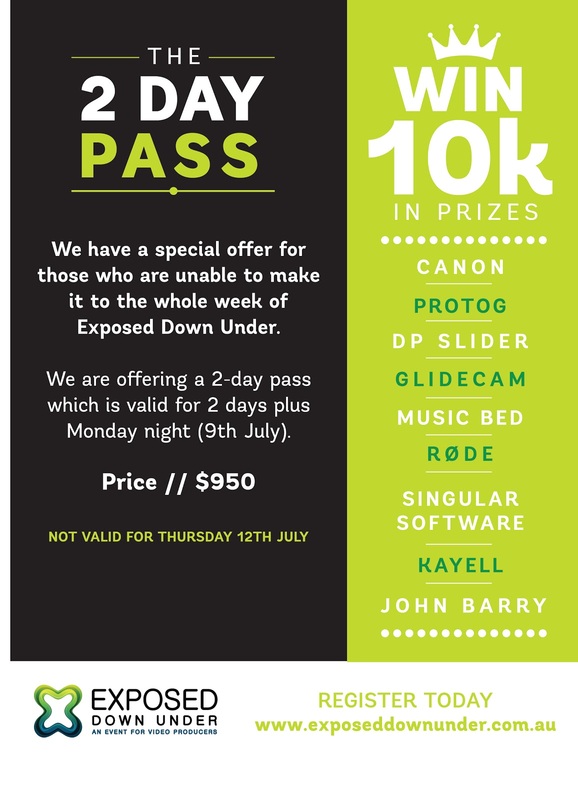 The 4-day event runs July 9-13 in Sydney, and there is a 2-day pass available if you can only catch an abbreviated version. We’d be there for the whole thing if we were you. How well do you really understand HD? AbelCine in New York has put together a series of classes to focus on the many different aspects of working with HD video formats. 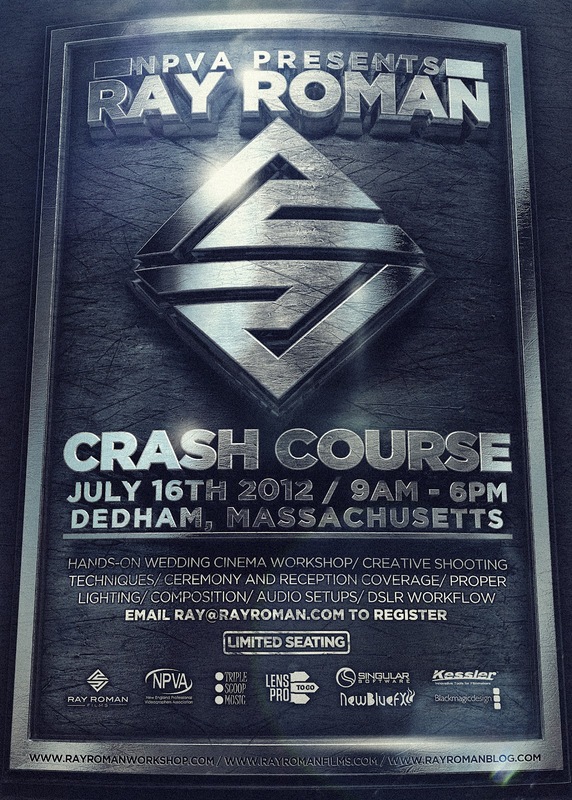 They’re talking to shooters and post production professionals, helping us through the maze of HD production. Andy Shipsides (@AndyShipsides) Camera Technology Specialist, is leading the session tomorrow called Understanding HD: Frame Rates, Color and Compression. We all know we’re bluffing just a little when this stuff comes up for discussion... Being in that room would send us ahead of the pack. Are you Editor enough to take the 90to5 Challenge? The Editor's ultimate mission is keeping a story intact, no matter how much time you have to tell it in. The website is a rich tool kit of everything you need to get started, including links to public domain films, editing tutorials, and even some history lessons. Prizes include cash and editing software. Get in on a great opportunity to learn directly from Scott Simmons, author of Editblog, who has over a decade of experience working in the field of film and video post-production. He'll be leading the "Adobe Premiere Pro CS6 For Final Cut Pro Editors" webinar through Moviola June 12, 2012 @ 10:00 AM PST to 11:30 AM PST. Tune in to access Scott's training as an experienced Avid editor with credits ranging from music videos and concerts to commercials and corporate videos to documentaries and television programs. Hosted by Marcelo Lewin, the founder of Filmmaking Webinars and the Director of Interactive Media at Moviola, the webinar also features fantastic giveaways including a copy of Adobe Creative Suite 6 Production Premium, and a license for PluralEyes. Join in! 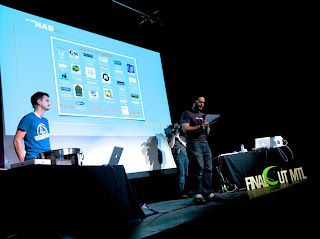 PostNAB 2012 has been stamped a success, thanks to great energy from Final Cut Montréal. Thanks for including us, looking forward to next year!